Well maintained and decorated 4 bedroom 3 bath home that sleeps 10 maximum. Bedding includes one king, two queens and two twin beds plus a sleeper sofa. The 1st floor screened porch, second floor deck, and large Crow's Nest all have comfortable seating and great views of the ocean and pier. Spacious living room has a cathedral ceiling. Kitchen has it all, and the dining room has space for everyone. Two large beautifully decorated bedrooms on the first floor, and a large master and 4th bedroom on the second. Bright 2nd floor loft has view of the ocean, and includes wet bar and mini-fridge. 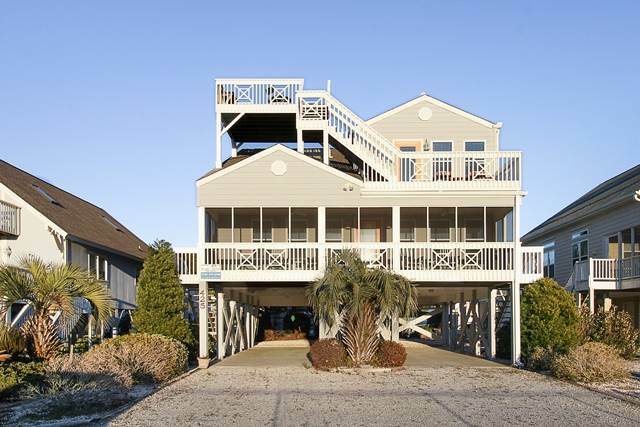 The beach is only steps away, and the boardwalk has no steps for easy beach cart access.